MFA provides a full range of services to assist museums, galleries, corporate and individual collectors, artists, foundries and fabricators, and other fine art service companies. 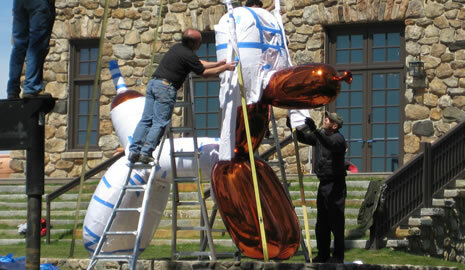 We protect, move, install and store their important works of art. In addition, we provide consulting services to professionals in other fields  architecture, historic preservation, interior design, real estate  whose own clients require specialized expertise in handling artistic or historic objects. CLICK HERE for a printable list of Marshalls full range of services.